Expand your skills beyond the basics of floral design by attaining the National Career Certification Board’s Certified Floral Design Associate (CFDA) designation. A Certified Floral Design Associate (CFDA) knows floral design techniques that range from the basic to cutting edge. Floral design is a fascinating art form that people have been appreciating for hundreds of years. People are drawn to the art of floral design and flower arranging as a means of relaxation, use as a creative outlet, and can be a satisfying and enjoyable career path. Floral Design can be very profitable for those who choose to pursue it as a career or business. A Certified Floral Design Associate (CFDA) can work in this field as a full-time Certified Floral Design Associate (CFDA) or part-time simply to earn extra money doing something he or she really enjoys. Certified Floral Design Associates (CFDA) work in various rolls in the profession such as designing floral arrangements, consulting with wedding planners, work in a florist shops, or even start their own floral businesses. According to the Bureau of Labor Statistics, the average salary last year for Certified Flower Design Associates (CFDA) working in the United States was $25,030.00. The major employers of floral designers include retail florists, Internet florists and grocery stores. 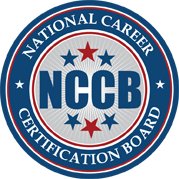 National Career Certification Board’s Certified Floral Design Associate (CFDA) designation can help you achieve advancement in the field of flower and florist design. The benefits to becoming a Certified Floral Design Associate (CFDA) may include more job opportunities, higher wages, and increased job security.